iConnect | Patient-friendly up-to-date clinical trial listing. Our online platform iConnect enables patients to connect with your clinical trial investigators and reach your recruitment goals. iConnect is specifically designed to facilitate patient-recruitment for academic medical centers, sponsors, and patient advocacy groups. iConnect allows your investigators to improve online awareness of their trials, communicate with interested participants, and monitor recruitment metrics. "iConnect has helped us getting the conversation started on consolidating Penn’s non-cancer clinical trials into one portal and make it available for public view...We are very pleased with what this platform has offered so far, and are looking forward to what it can offer in the future for a large academic institution like Penn." "TrialX iPhone app lets patients and doctors search for clinical trials by location, indication or treatment, share it with friends or family, and call a clinical trial instigator." 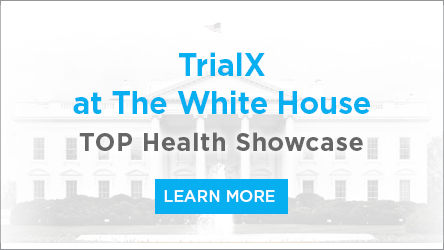 "New tools are being developed that may help harried patients... TrialX matches patients to relevant clinical trials based on their health information." "iConnect is a great platform to support patient recruitment. It provides us all the features and the flexibility needed to suit our needs."